The United Nations wants you to have unfettered access to the internet, Apple wants you to donate your organs, Facebook ups its language game, Prince gets immortalized online, and speedrunning for charity. Many of us rely on the internet to do, well, anything and everything these days. It’s a source for breaking news, for information, for communication, and for entertainment, amongst other things. So, does this reliance on the internet mean access to it should be a basic human right? Possibly, at least according to the United Nations (UN), which recently adopted a resolution regarding “the promotion, protection and enjoyment of human rights on the Internet”. This resolution [PDF link] sets out various commitments pertaining to the upholding of human rights online. Potentially the most important element is the insistence that member states refrain from “measures to intentionally prevent or disrupt access to or dissemination of information online”. Which means not shutting down all or part of the internet when it suits the state to do so. 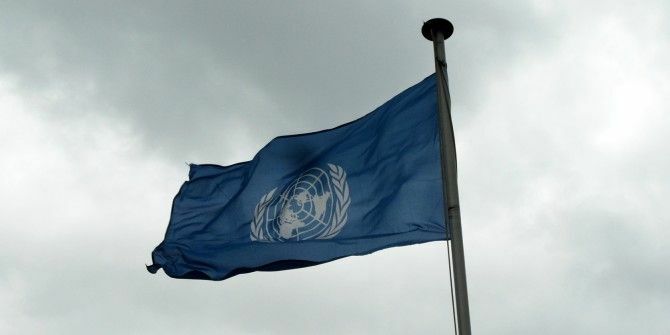 Other elements of the resolution include guaranteeing the rights of internet users to express themselves freely and investigating any attacks on journalists or bloggers, and adopting a “human rights based approach” to the expansion of internet access, with particular regard to gender and disabilities. It should be noted that the UN cannot legally enforce this resolution, and it is instead merely a set of guidelines for member states to follow. It also doesn’t mean governments will be forced to provide free internet access for all Google Fiber Offers Free Internet, Facebook Celebrates Friends Day... [Tech News Digest] Google Fiber Offers Free Internet, Facebook Celebrates Friends Day... [Tech News Digest] How to get Google Fiber for free, Facebook invents Friends Day, Amazon brings Alexa to the Fire TV, original YouTube programming is coming soon, and a legitimate reason to own a drone, finally. Read More , but they will be expected to allow everyone to have access to it without state interference. I've had 15 extra years with my grandma bc someone donated their lungs. Donate your organs. They won't do much good for you in the ground. Organ transplants are a marvel of modern medicine many of us now take for granted. But we really shouldn’t. Not only is it an amazing achievement to take an organ from one person and put it into the body of another, it’s also at risk from a shortage of suitable organs. Organs that could prolong the lives of multiple people. We should all arguably donate our organs to others when we die, but many of us never sign up to do so. Which is something Apple is trying to change, by including the option in the iOS 10 Health app. Individual users will be able to sign up to Donate Life America by clicking a button and registering their details with the National Donate Life Registry. Apple obviously has more interest in the subject of organ donation than most, with its founder and former CEO Steve Jobs iRead: 7 Books About Steve Jobs All Apple Fans Should Own iRead: 7 Books About Steve Jobs All Apple Fans Should Own We have selected the best books written about Steve Jobs and Apple. These seven tomes provide all the information on Jobs you'll need to know, and a lot more besides. Read More having received a liver transplant in 2009. Current CEO Tim Cook famously offered Jobs a portion of his own liver, but Jobs refused the offer. iOS 10 is expected to launch this September What's New in iOS 10? Everything Coming to Your iPhone This Fall What's New in iOS 10? Everything Coming to Your iPhone This Fall Here's what features you can expect to see added to your iPhone when iOS 10 finally lands. Read More alongside a brand new iPhone. Facebook is a truly worldwide phenomenon, with people from all four corners of the globe using the social network. This has inevitably led to users making friends with people from all over the world, which obviously creates something of a language barrier. English may be the default language of the internet (unless it’s GIFs?! GIFs, The Language Of The Web: Their History, Culture, and Future GIFs, The Language Of The Web: Their History, Culture, and Future Everything you ever wanted to know about the history of GIFs, how they've evolved, and their cultural impact and significance. Read More ), but it’s not universal. To overcome this problem, Facebook is rolling out the option to translate your status updates into up to 45 different languages. Thanks to a multilingual tool, users will be able to select additional languages from a dropdown menu, and instantly (and automatically) have their post translated into everything from French to Filipino. The multilingual composer, as the tool is called, is currently being tested by selected users. Initially, only desktop users will be able to compose messages in multiple languages 10 Top Browser Tools To Translate Web Pages 10 Top Browser Tools To Translate Web Pages Almost half of all the Internet is inaccessible unless you're fluent in multiple languages. So what are the best tools for translation? These ones. Read More , but all users regardless of platform will be able to read them. It isn’t clear how long it will take Facebook to roll this out to all of its 1.65 billion+ users. When Prince (Prince Rogers Nelson) died on April 21, it hit a lot of people hard. Not only because he was so young (58) at the time of his death, but because he was one of the most iconic and influential singer-songwriters to have ever lived. He was arguably up there with Michael Jackson and David Bowie. So, Prince has sadly passed, but he has at least been immortalized on the internet thanks to the Prince Online Museum. This takes the form of an archive of Prince’s former websites from the past 20 years, all presented in reverse chronological order, and featuring a wealth of content for fans to explore. An online archive of old websites may seem of trifling concern with everything else going on in the world at the moment Clicking Consequences: Why Donald Trump Is Your Fault Clicking Consequences: Why Donald Trump Is Your Fault Every time you click an article about Donald Trump, the media thinks that is what you want to read, and so it spends more time talking about Trump. Stop clicking! Read More , but for fans of the artist, the Prince Online Museum will be a Godsend helping them to relive his greatest moments and to process his untimely death. And finally, the Games Done Quick initiative sees speedrunners raising money for charity by racing through video games as quickly as possible. For the uninitiated, that’s what speedruns are all about 4 Of The Most Unbelievable Video Game Speedruns Ever 4 Of The Most Unbelievable Video Game Speedruns Ever Are you ready to see four of the most jaw-dropping video game completions in gaming history? Read More , with talented gamers getting to the end of full games in mere minutes. This video shows Stephen Colbert promoting Games Done Quick by pitting himself against a champion speedrunner. While Mitch Fowler has to reach the end of Super Mario Bros. 3, Colbert has to cook and then eat a Hot Pocket. Colbert wins, but then so does Games Done Quick. Should unfettered access to the internet be a basic human right? Should organ donation after death be opt-out rather than opt-in? Do you have foreign friends on Facebook? What do you think of the Prince Online Museum? Do you have any interest in racing through video games as quickly as possible? I can make the argument on Freedom of Press and Speech alone, but I think most people realize the similarity in these two rights indicating a more general right & concept to cover them both at once. I find that common concept to be communication, whether by paper/press or by mouth/oral or by the internet. I am not going to play the constitutionalist that says your only rights are basically those listed in the constitution - and the constitution itself says it should not be interpreted that way. "The UN Wants to Protect Your Internets"
More hot air bloviating from the UN. How about passing a resolution recommending that member states provide clean water and a minimum sustenance diet? How about passing a resolution recommending that member states provide electricity? Without electricity there is no Internet. And what is Fruitco's cut on each donation? It is disappointing and yet to be expected that the UN would think up a human right that grants people automatic access to what took others time, money, and ingenuity to create. I've just set fire to the UN flag in a thought bubble. So there. I can't take that institution any more seriously. Did you actually read the article? No one is being given "automatic access", the UN is simply suggesting everyone have the right to access the internet without government interference. People have a right to try access water. But NO, no one is entitled to the inherent right to water or any other property other than their body - UNLESS you are willing to have the sate mandate the labor be there to provide that service to everyone in order to support those rights/access. ALL services are provided by the labor of others and people will NEVER have the right to that labor! No I did not and I'm very sorry for it. Internet communication - like oral communication (speech) and printed communication (press) - is protected by our civil right to Freedom of Communication. Control of that communication by the state is an implicit violation of the concepts of Freedom of Press and Freedom of Speech ifm one is not familar with the momre general concept of Freedom of Communication. People no more have free access to the inherent for internet communication that people have free access to paper for printed communication. MakeUse Of has long let us now that is supports state control of the internet with its support of Net Neutrality which at a minimum mandates all access provided be to the same sites or those the state thinks are required in order to be considered "neutral". This is like mandating all libraries carny the same books to provide for neutrality in library service. Do you think people should have the basic human right to drink water? Or should the government be allowed to cut the supply as and when they see fit? People have a right to try access water. But NO, no one is entitled to the inherent right to water or any other property other than their body – UNLESS you are willing to have the sate mandate the labor be there to provide that service to everyone in order to support those rights/access. As for the state. it too has no inherent right to property like water, much less have a coercive monopoly over that service to threaten the citizenry with. We all know the only assets the state has are those it has taken from others - like taxes. "Internet communication – like oral communication (speech) and printed communication (press) – is protected by our civil right to Freedom of Communication." You sound like the Supreme Court of the US, finding all kinds of heretofore unknown rights in the penumbras and emanations of the Constitution. I am not going to play the constitutionalist that says your only rights are basically those listed in the constitution – and the constitution itself says it should not be interpreted that way.